Clubs are in alphabetical order by car brand. For information on our participating clubs visit the individual club websites. Antique Automobile Club of America (Roanoke Valley Region) The Roanoke Valley Region AACA is devoted to the restoration and preservation of antique automobiles twenty-five years or older. The club is one of over 400 regions that make up AACA and is celebrating its 62nd anniversary in 2017. This regional AACA is one of the largest within the national organization. The Dogwood Festival, Festival in the Park and Old Salem Days are among the shows The Roanoke Valley Region AACA hosts each year. The regional club is also well represented at many other local and national events. Star City Corvettes The Star City Corvettes is dedicated to family fun, fellowship and enjoyment of the only true American sports car, the Corvette. Activities include cruise-ins, auto shows, rallies, picnics and charity events. We are an active supporter of local charities and many other local and regional organizations. While our main goal is to have fun with America’s only sports car, we go beyond that. We support each other and we support our community. Blue Ridge Miata Club The Blue Ridge Miata Club is an associate of Mazda Miata Enthusiasts with membership throughout VA, NC and WV. BRMC was founded in 1999 and the club has members of all ages. Member’s interests span from “garage queens” to daily drivers, auto-cross and SCCA competitors. Roanoke Valley Mopar Club An organization, formed in 1986, centered on the appreciation, preservation, and restoration of Chrysler Corporation (Mopar) vehicles. This includes all Mopar vehicles - antiques, classics, muscle cars, sports cars, sport utility types, trucks, and current models. It also includes vehicles manufactured by companies that are or were owned/associated with Chrysler Corporation, such as AMC, Jeep, and Mitsubishi manufactured Chrysler brands. Roanoke Valley Mustang Club The Roanoke Valley Mustang Club is a chartered, regional group of the Mustang Club of America. The RVMC is organized to educate, promote, and encourage participation and ownership in the preservation, rebuilding, restoration, and remodeling of all model Mustangs and Fords and or Ford powered vehicles through civic, benevolent, charitable, social, and fraternal functions and endeavors. Roanoke Valley Volkswagen Club The Roanoke Valley Volkswagen Club, established in 1995, is dedicated to the love of Volkswagens. The only requirement for membership is an interest in Volkswagens, any model, any year. We welcome all types – Beetles, Ghias, Buses, Dune Buggies, Water Cooled. 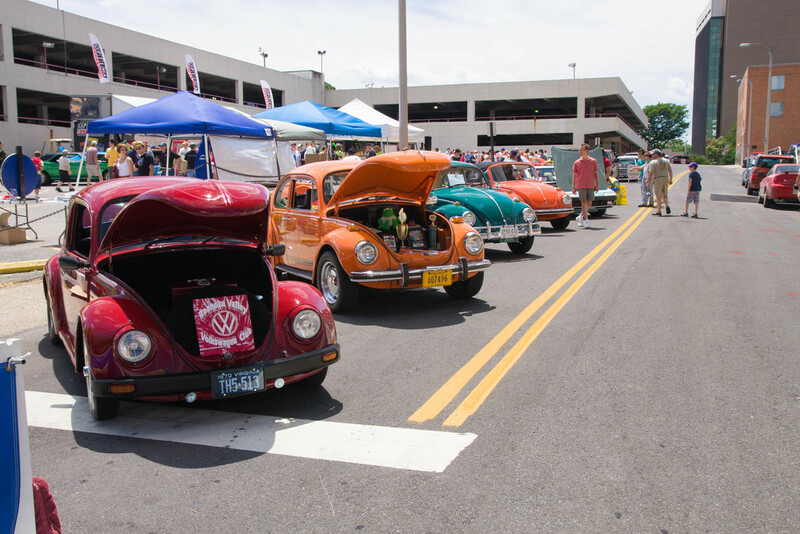 You don’t even have to own a VW to attend our events. Please call Steve Davis (540) 776-5349.